Probably my favorite show on television. I’ve only seen this guy on Iron Chef America, and I hate that show. So, Booo! If you haven’t seen Good Eats, then you’ve missed the best reason for Food Network to exist. Alton’s not so great on “Iron Chef America” (I preferred the original) and I can take or leave his road-trip eating show, “Feasting on Asphalt”. 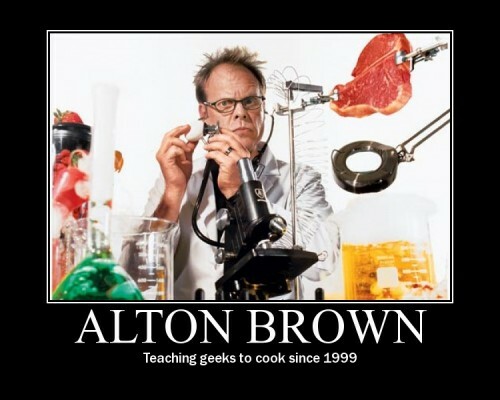 But he’s awesome on “Good Eats” – everyone who likes to cook (not just geeks) can learn a lot from that show.